Panasonic’s ‘showstopper’ has become a must see at ISE over recent years. From live fashion catwalks to projection mapped sports cars, 4K robotic screens and magic shows featuring moving projection. 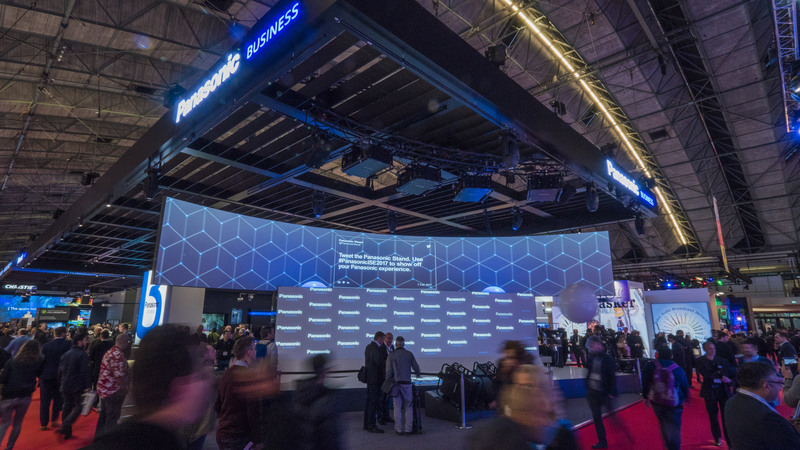 ISE 2018 will once again see Panasonic create a must-see at the show by combining visual art performers, laser projection technology, 3D mapping and tracking, which is set to leave the audience wondering where the live performers start and the projections finish. Presenting a show design by Painting with Light, Panasonic has joined forces with Novaline, who will be providing invisible projection screen fabrics, which when combined with laser light from Panasonic’s 3-chip DLP™ laser projectors, to create a very bright and realistic looking image. Panasonic will once again partner with Blacktrax and Disguise (d3 technologies) who will provide the tracking solution and server technology behind the live show. See the Panasonic showstopper in Hall 1, stand H20.